… and Machiko Ono is looking super fly! I ran into a set of photos on Weibo of Yu-chan with her eye-patch, and voila! According to Google Translate she had conjunctivitis, though I’ve never seen someone get it on one eye… so maybe it’s a stye. On a Machiko Ono note… when I ‘met’ her via Mother and subsequently saw her on Carnation, I… just didn’t see the appeal. She got that “oh, must be a really good actress” comment from me (not a bad comment to get, I might add), but after seeing her on The Great Divorce, I’ve sorta started seeing her in another light. Like- she really does look extra good in this white dress. Also~ Is Yu wearing extensions? I doubt her hair grew this long in such short period of time. 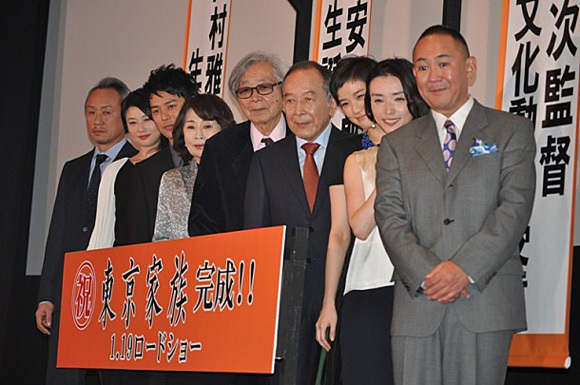 An advanced screening of Yoji Yamada’s Tokyo Kazoku  was held prepping for its imminent release on January 19th. Time flies by. It seems like yesterday when they finally announced they were shooting the movie. In the movie front… no signs of Vampire on DVD. Though, no sign of Yu-chan. Has anyone noticed that there’s so many un-subbed Japanese movies as of lately? 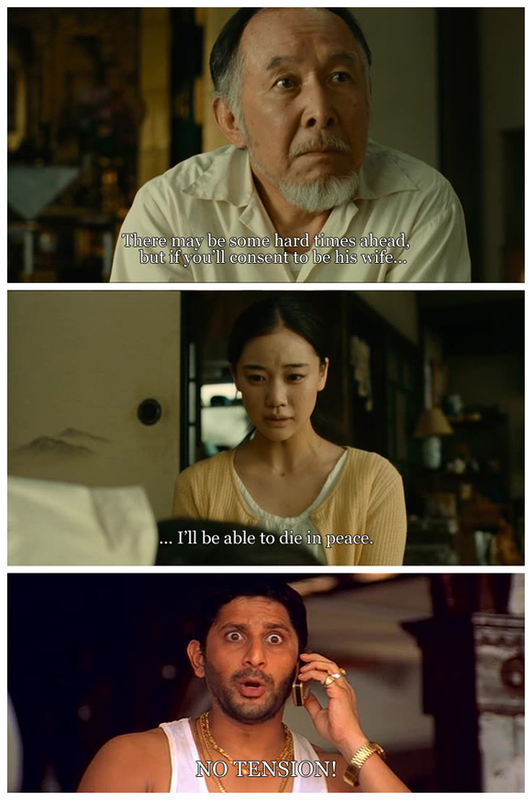 Like, every time there’s a movie worth-watching~ SORRY, NO SUBS! And since the dismissal of upload sites, there’s been a lot of non-fansub activity. Are all you fansubbers hiding from me?? ?